New from “Culturally F’d”: how the 1990’s internet made a Furry phenomenon. I highly endorse this Youtube series, which investigates everything this blog is for! Host blackbird, Arrkay, sent this. (Arrkay:) “This week we are “Ctrl:F’d.” Culturally F’d looks at furries and the history of the internet. The episode was later than expected for 2 reasons: 1) I was hosting a Drag Party (Howl Toronto‘s “Fierceness Party”,) where I recorded footage to feature soon where we discuss the commonalities of fursuiting and drag queens. 2) It’s our longest episode so far, and will probably be the longest of the season! As Michael from VSauce recently pointed out, on the internet, no one know’s if you’re a dog. This meme was originally from the July 5, 1993 edition of the New Yorker. No group on the internet holds this adage more closely than furries. MUDs, MUCKs, and early chat rooms made Furry visible in the first online communities of the 1980’s and 90’s. That happened before computers were widely accessible, and even before the mega-infrastructure of the internet was built. This aspect of the fandom grew largely from colleges and universities, equipped with online connections and computers that were still far too expensive for home-use. We talk about the impact of online avatars, screen names, and gaming, in creating the very concept of the Fursona. This anonymity plus Furries’ open-door policy may have led to a concentration of LGBT people, from early on to present day. If anthropomorphic art follows media, as we have been exploring, then it would be inevitable that they would come to represent us on the digital platform. 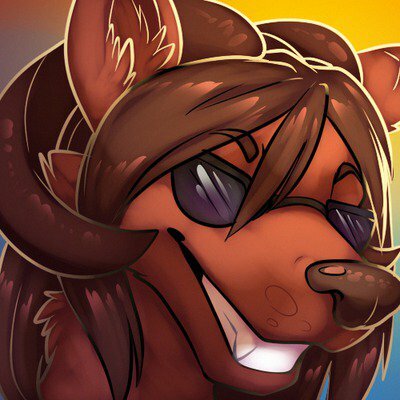 Higgs of Furrymedia shares news of two furries killed in a vehicle accident last Friday. The tragedy happened during a routine changing of a flat tire by a highway. In the fandom, they were known as Red Savage and MiloFox08 . Vice Magazine covered the Londonfurs, and it’s not too bad. Drinking with London’s Furries Taught Me Some Valuable Life Lessons. The writer apparently joined a regular fur meet without telling anyone, but did research first. Despite some missteps, like ancient unused terms, it isn’t without observation and caring. New Domain thanks to an anonymous benefactor – and New volunteer! An awesome furry has helped dogpatchpress.wordpress.com become dogpatch.press. And “Poppa Bookworm” is a blogger who recently joined to assist with Fred Patten posts. Fred is a valued elder of the fandom, in a hospital without mobility, and writing is one of the best things he can do. Volunteering is a huge service to Fred, and everyone who benefits from the fandom wisdom he keeps giving. Furries in the Wild – beloved San Francisco tradition in it’s 4th year. It’s one of those local network happenings… the kind I’d love “local correspondents” to share about more. Presented by fandom giant NeonBunny, founder of the influential Frolic dance party, this popular outdoor BBQ and music furmeet brings 150 and rising to a Bay Area park every July. Fandom around the world: Great Swedish fursuiting vid. Lots of traffic for Vermont fursuit ban story – they may repeal anti-mask ordinance.